In 1896, Frances Willard was visiting her friend Lady Somerset when she heard about a refugee crisis in Marseilles, France. The crisis had begun in 1894 when massacres of Christian Armenians broke out across the Ottoman Empire and continued for the next several years as the Empire sought to repress the Armenian population. This was no small sectarian skirmish, but a devastating precursor to the Armenian Genocide that would occur nearly twenty years later. Today, this geographic area of the world is once again the source of a pressing refugee crisis. Millions of Syrians are displaced in the midst of a war that had “resulted in at least 470,000” deaths.” Women and children account for a large number of refugees and displaced persons around the world. In 2016, UNICEF reported that more women and children were “on the move” than men. The Syrian Refugee crisis leaves many wondering what can be done. This question is not without precedent. Willard implemented her “Do Everything” motto in the face of the largest humanitarian crisis of her day to provide an answer to this question. Frances Willard and Lady Somerset took steps to assist the Armenian refugees through direct action. 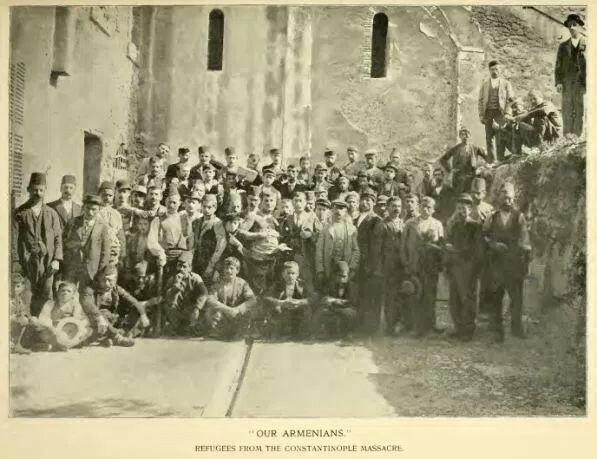 These actions included facilitating the migration of at least one thousand Armenian refugees to America and London, raising nearly $10,000 dollars through the Woman’s Christian Temperance Union (WCTU) to aid relief efforts, and publicly speaking out against the massacres. Willard’s motto of “Do Everything” drove her to great lengths to help the most vulnerable around her. She moved quickly and swiftly to mobilize the women around her in order to enact change. Her determination to act stands as an inspiration to the 21st century individual who seeks to “do everything.” Once again the world is faced with a pressing crisis with human life on the line. Through the narrative of Willard and her work with Armenian refugees, history provides an example and inspiration towards action. Guest blog by Brittany Moore, a graduating senior at DePaul University studying Anthropology with a minor in Museum Studies. Anna A. Gordon, The Beautiful Life of Frances Willard, (Chicago: The Woman’s Temperance Publishing Association, 1898), 263-264. Sacramento Daily Union, Volume 94, Number 64, 24 October 1897.